Now that icy roads and sidewalks are melting with the coming of spring, many cyclists are eager to get back on their bikes. Cycling is a great way to exercise and possibly lose weight, since it works muscles that you might not otherwise use, while simultaneously increasing heart rate and burning calories. Cycling can also be a great, green way to travel moderate distances. Cycling instead of driving to work or to class every day can greatly reduce your personal carbon footprint. Now that the weather’s improving and you’ll be cycling more often, it’s important to practice proper bicycle security. According to some estimates, 1.5 million bicycles are stolen a year, with many of these crimes occurring on college campuses and in urban areas. This may be due to an increased popularity of the sport as a mode of travel and as recreation. Also, the internet has made it easier for bicycle thieves to discreetly sell stolen bikes and bike parts. 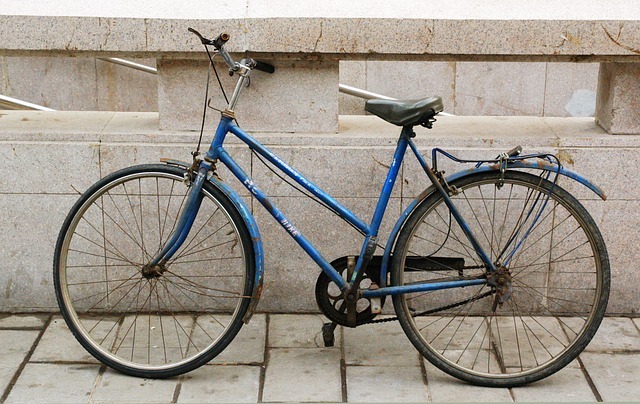 If you’re going to be riding a bike around town, make sure to invest in a reliable lock. While the best lock may be a bicycle locker, in which the entire bicycle is stored, this may not always be an option. You may have to carry a portable lock with you whenever you ride your bike. Some common locks include U-locks (also sometimes called D-locks), cable locks and chain locks. Many people swear by a U-lock, which is shaped like a long metal “U” with a bar connecting the gap. If a U-lock is the proper size, you can position it so that it locks the wheel to the frame and also to the bike rack. This is important so that a bicycle thief doesn’t make off with your unsecured wheel (You also don’t want to attach only the wheel to the rack, as a thief may take the opportunity to spirit away the rest of your bike and so leave one lonely wheel dangling from the rack). However, some concerns have come up about bike thieves using liquid nitrogen to freeze metal U-locks and then breaking through the metal once it’s become cold and brittle. Cable locks are made from a long, coiled cable with a locking mechanism that joins both ends. These locks may be convenient because they’re typically lightweight and, because they coil up and become compact, they’re easily transportable. However, some heavy duty wire cutters can make short work of this kind of lock. A chain lock is a heavy chain with a padlock that joins the two ends. Although a chain lock may be heavy and bulky, many consider it the ideal lock because it’s more flexible than the U-Lock, and it’s also sturdier. While a thief could probably saw through a heavy duty chain lock with a hack-saw, the task would probably be more trouble than it’s worth. It also takes a significant amount of time to saw though a chain lock, making it too risky for your average thief, who typically prefers the path of least resistance. Bicyclists should also remember to lock their bikes up somewhere safe – usually in plain view of the street or other high-traffic areas. Also, either securely bolt removable parts (wheels, seats and lights) to the frame, or remove them yourself and take them with you when you leave your bike unattended. Also, try not to leave your bike in a public place over night. There are few things worse than walking out of your workplace at the end of the night, ready to ride your bike home, and finding a desolate, empty space next to a bike rack. You never know when bicycle theft will happen to you! Practice safe and happy cycling this spring.